Noted historian Thomas Keels returns to Radnor Memorial Library and will once again open a wide, insightful and revealing historical lens on Philadelphia. 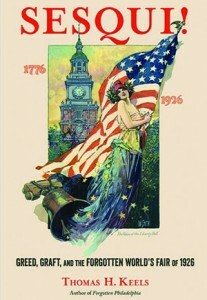 In 1916, department store magnate John Wanamaker launched plans for a Sesqui-Centennial International Exposition to celebrate the 150th anniversary of the Declaration of Independence. However, when the Sesqui opened in 1926, in the remote, muddy swamps of South Philadelphia, the first visitors were stunned to find an unfinished Fair, with shabbily built and mostly empty structures. Crowds stayed away in droves. Philadelphia became a national scandal. Keels demonstrates at length how the fair was entangled with local and state factional politics. Co-sponsored by RHS and Radnor Memorial Library. Books available for purchase. This event is co-sponsored by Jenkins Arboretum & Gardens, Radnor Conservancy, and Radnor Historical Society. For nearly 80 years, Stoneleigh was the home of the Haas family, who donated the property to Natural Lands Trust in 2016 so that it would remain preserved forever. In the spring of 2018, Stoneleigh will open to the public. Ethan Kauffman, the new Director of Stoneleigh, will give a presentation and talk about the past, present and future of this long-anticipated public garden. 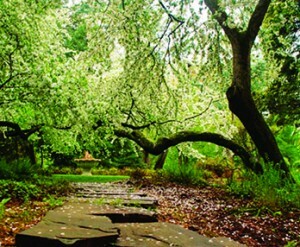 Stoneleigh is a 42-acre property that includes stately trees, winding pathways, and lush gardens that were designed by a number of notable landscape architects over the past century—including the Olmsted Brothers, sons of the famed Frederick Law Olmsted. Currently, Natural Lands is transforming the former private estate to a public garden with many improvements to the landscapes, facilities and infrastructure already well underway. These new additions, coupled with the existing beauty and historical splendor of the site, make for a very exciting project. Kauffman will also give an overview of the Natural Lands preserves in Pennsylvania and New Jersey. Reservations are not required. 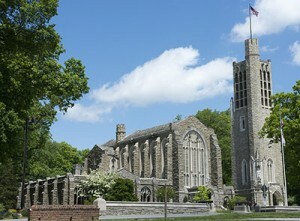 Jenkins Arboretum & Gardens is located at 631 Berwyn Baptist Road, in Devon. Please join us to celebrate the launch of the much-anticipated book on one of Radnor’s finest estates, located within the walls of the fantastic Horace Trumbauer-designed mansion at the center of the story. Event includes private tours, buffet, and books for sale. 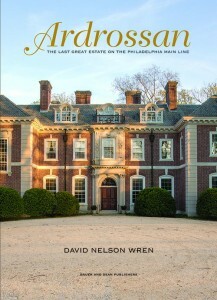 David Nelson Wren, author of the much-anticipated Ardrossan book, will personally guide VIP guests at this RHS fundraiser. This extraordinary event requires reservations. Books will be available there at discounted rates. For more information about the event, the book, and to download a reservation form, please click here. How are paintings cared for? What is involved in cleaning and repairing our cultural and artistic artifacts? How do these materials age and how can we best preserve them? What can we learn about them through various imaging and analytical methods? 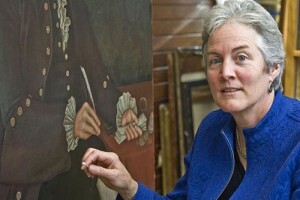 Mary McGinn, Chief Conservator at the Pennsylvania Academy of the Fine Arts, will share stories from her 25 year career working on paintings, murals, frames and decorative objects in museums and private collections. Prior to the position at PAFA, Mary was Paintings Conservator at Winterthur Museum and managed a successful private practice in the Philadelphia area. Her clients included Brandywine River Museum, Eastern University, Morven Museum & Garden, Naomi Wood Trust (Woodford Mansion), Ryerss Museum, Schwenkfelder Library & Heritage Center and Woodmere Art Museum. This event is a partnership with Radnor Historical Society and will take place at the Radnor Middle School, in the library. This is a unique opportunity to meet Mary McGinn and learn about the science of art restoration and the art conservation process. 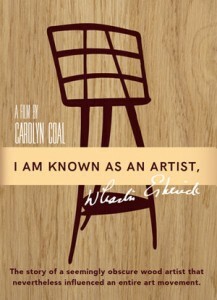 This fascinating documentary, made possible through a crowdfunding website, came about after filmmaker Carolyn Coal visited and became enchanted with Esherick’s magical studio near Valley Forge. Combining oral histories, photos, and interviewing wood experts, historians, museum staff, patrons and family she successfully completed the film in 2017. Esherick’s motto, “If it isn’t fun, it isn’t worth doing,” rings true throughout. Co-sponsored by Jenkins Arboretum & Gardens, & Radnor Memorial Library. 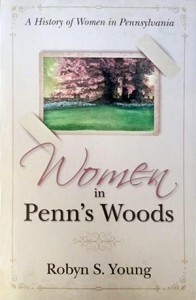 Not many people can rattle off a list of Pennsylvania’s distinguished women, so for Women’s History Month Robyn S. Young presents her book about the 1852 Women’s Rights Convention, 175 women who made a difference, and many who made historical contributions in the 20th century. Fondly known as The Marker Lady, Young has received approval from the PA Historical & Museum Commission for 18 related roadside markers throughout the state. She is also founder of the Pennsylvania Women’s History project. Co-sponsored by Radnor Memorial Library. Books available for purchase. The Jamestown Rediscovery team has been actively excavating the site of James Fort for over 20 years and in the process has made discoveries that have cast doubt on conventional interpretations of Jamestown’s history. 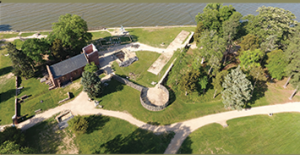 Lisa E. Fischer, the Foundation’s Director of Digital Initiatives, explains how new technologies – advanced mapping, social media, laser scanning and 3D modelling – are revolutionizing the analysis, interpretation and presentation of archaeological data from one of North America’s first English settlements. Catherine Kerrison, an associate professor of history at Villanova and respected author, will talk about the themes covered in her latest book. 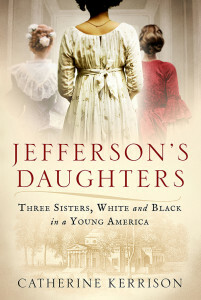 She will explore the different life paths chosen by Thomas Jefferson’s three daughters, one of whom, Harriet, was by his slave, Sally Hemings. The other two, Martha and Maria, were by his wife Martha Wayles Jefferson. Kerrison contemplates both the possibilities and limitations for people of color as a result of the American Revolution. We know Thomas Jefferson primarily as our 3rd President and one of the most famous of America’s Founding Fathers, but it is easy to forget that he was an actual father. The stories of his daughters prompt us to think about the ongoing movement towards human rights in our own day – and about the personal and political legacy of the principal author of the Declaration of Independence. Kerrison teaches courses in Colonial and Revolutionary America and women’s gender history, and holds a Ph.D. in American history from the College of William and Mary. Highlights of the evening include a personal introduction to the chapel’s architecture and nine gargoyles by the Rev. Dr. Karl Krueger, a tour by its Carillonneur, and an informative session in the sanctuary. Experience the talents of acclaimed artisans whose gifts created a sacred place where stone, wood and glass tell the story of the patriot cause. Refreshments and Carillon melodies follow. Co-sponsored by Radnor Memorial Library.